We hope you may remember the MINI concept, which has to become a production version of a roadster for the MINI family. The auto manufacturer said it would take about half a year to produce the roadster variant for the MINI lineup as well. Certainly, the carmaker plans to decrease the number of MINI models. It may be connected with costs economy for launching. However, we have been waiting for the appearing of the new supercar by MINI for quite long time, since first news began to be published in newspapers not much time ago. The British auto manufacturer is figuring about the novelty, which will be a new super mini car. The carmaker is good at producing both good-looking and well-handling models. If we think about the Cooper convertible with a hardtop, which is the standard vehicle, the MINI carmaker means to launch a new model that will be smaller than the standard Cooper cabrio as well. 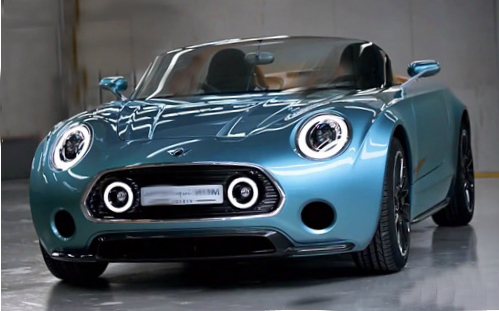 Meanwhile, is may happened the new electrical mini-roadster will be not necessary for the MINI lineup.